The range of stones we offer is dedicated to aquascaping. Thus we carry specially textured stones, some of which may harden the water slightly. If they do we mention this in the product text. Ryuoh or Seiryu (also known as Minilandschaft) stones are especially attractive for an aquascaped layout. With their rugged exterior they can easily be combined to make larger formations. The grey colour of Ryuoh and Seiryu evokes the image of rugged massive rock formations or mountains. This makes them highly suitable for Iwagumi layouts. 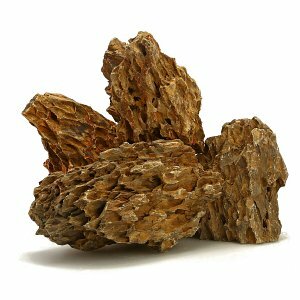 Ohko, also called Dragon Stone, is an argillaceous rock that does not influence the water hardness, and whose holey structure and warm earthen tones make it an eye-catcher for your aquascape that gives it a very natural impression. 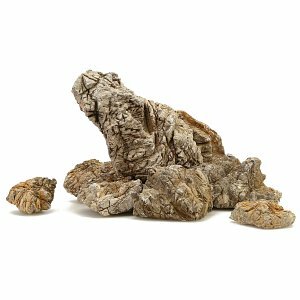 Elephant Skin (or Seegebirge) stones are strongly textured and fit very well into an aquascaped layout. 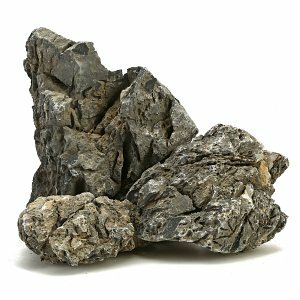 Their natural-looking surfaces make them ideal for larger rock compositions in your aquascape. These stones harden the water slightly, however, you can easily compensate for this effect by large water changes. 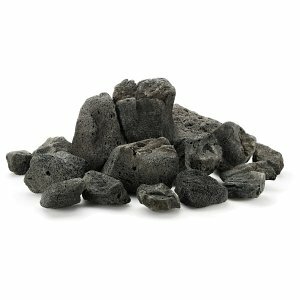 Black Pagoda is a very attractive brown to anthracite-colored stone. Smaller pieces are very rugged, larger ones have different layers, hence the name "pagoda". This rock also hardens the water slightly. Manten stones have a rough texture and are optimal for an Iwagumi layout. Their various warm tones and their rugged, rough exterior make them look like large boulders. 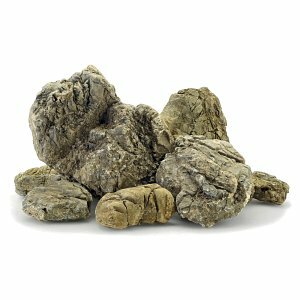 Koke stones are of volcanic origin and have a rough texture. Moss grows very well on them and attaches itself soon. A large number of small to medium-sized Koke stones makes for an attractive stone complex, on which ferns, Anubias and mosses find a good foothold and add some green accents to the rock formations. Unzan stones are made from lava rock. They are given the shape of mountains, and they come with planting pockets. The aquatic plants thus fit very neatly into the mountain landscapes designed with Unzan stones and make the layout look perfectly natural. In aquascaping, stones are a vital part of the hardscape, in other words: the decoration inside the aquarium. There are e.g. very puristic layouts, called Iwagumi, which are based on Japanese design principles and - apart from aquatic plants - use only one single type of stone and are designed without driftwood. 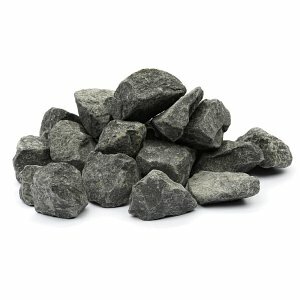 In our online shop we offer many different types of stones, which are suitable for use in aquariums. The price is usually per kilogram. To hel calculate the right amount of stones, we have penned the article Choosing your hardscape by weight for our Aquascaping Wiki. The calculation takes into account all individual parameters in terms of weight and volume of each individual type of stone. Basically, you should differentiate between neutral and water-hardening stones to be used in the aquarium. Sorts like Lava, Dragon Stone (Ohko Stone) and Loa Rocks are classified as water neutral, as are most stone types offered by manufacturer ADA. These include Manten Stones, Unzan, Koke, Sansui, Kei and Yamaya Stones. As a little note on those: ADA stones are shipped in units of 25 kg boxes, Unzan Stones are offered in our webshop as indidually photographed one-offs. Stones that harden the aquarium water contain lime, which can sometimes be noticed as whitish veins in the stone. A hardening, in other words: an increase in total-, carbon hardness and the pH value, happens foremost, if a CO2 system is in use. When introducing the gas, small amounts of carbon dioxide are created, which constantly dissolve the lime out of the stones. In order to counteract the hardening, we recommend regular, larger water changes in the aquarium with very soft or even demineralized water or just using non-hardening rock types. This is especially recommended if you want to keep sensitive dwarf shrimp (e.g. Bee shrimp). They do not tolerate fluctuations in water hardness, which would inevitably occur in the event of a water change, very well. 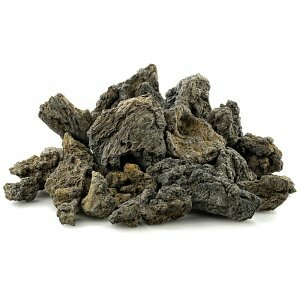 Especially the heavily rugged types of stones, popularly used in aquascaping to create mountain-like structures, are often calcareous. Among those are Seiryu Ryuoh (Mini Landscape), but also Grey Rocks, Frodo, Black Pagoda and Tsingy Rocks. A comprehensive overview of all stone sorts available in our webshop can be found in the article Hardscape in our Aquascaping Wiki. All stone types are listed and described there separately, divided into neutral and hardening types.